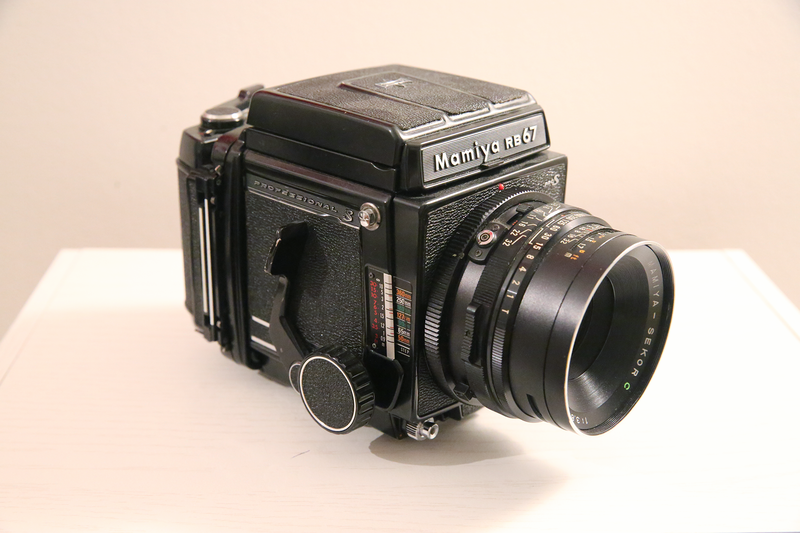 A 6x7 medium format SLR camera. The RB in RB67 stood for "Rotating Back", for its rotating function. It was first made available in 1974 and sold for some 152,000 yen. The Pro-S variant was produced until around 1990. At about 2kg without the lens this beast is quite the shoulder weight.